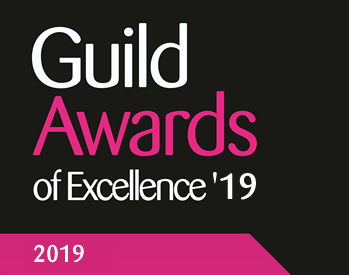 Guild of Excellence Awards 2019: Nominate K.B Pro® today! January is an exciting time for those of us in the beauty industry. The cold, grey miserable weather may be persisting, but here at K.B Pro® we’re super excited as January means the start of awards season! It’s now time for the Guild of Excellence Awards 2019 and we would love your help. It’s free, quick and easy to vote (and means so much to us!) so please click here to cast your vote. What’s more, you’ll receive a FREE Guild Gazette digital subscription when nominating – perfect for keeping ahead of the beauty industry news! Please make sure that you vote for us before the closing date on Wednesday 16th January! Thank you to you all for your incredible support, as always.